Ted “Dr. 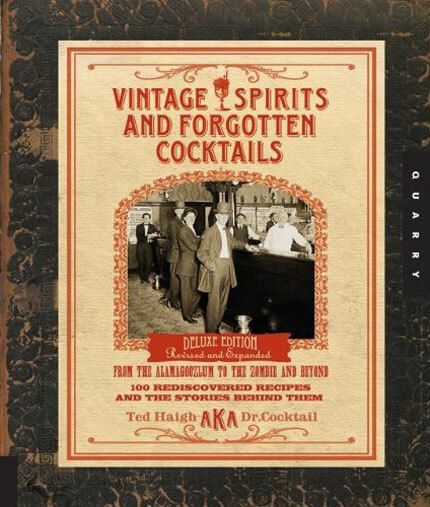 Cocktail” Haigh’s Vintage Spirits and Forgotten Cocktails, originally published in 2004, is the book that made me “get” this whole classic cocktail thing. I’d been dabbling around the edges of that world for years, drinking Martinis, Negronis and the occasional French 75, collecting vintage barware here and there. 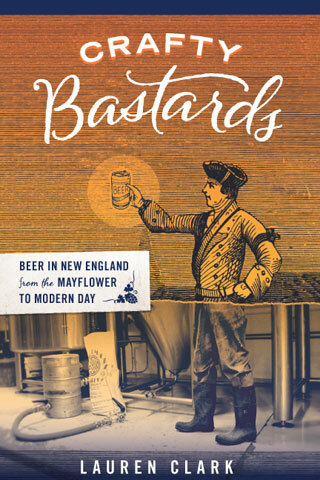 But most of the books I encountered failed to inspire me: they were either thick tomes listing, without context, every mixed-drink recipe of the last 50 years, or books for the serious bartender, dense with text about tools and techniques. That’s why I was so thankful when I found VS&FC, with its mere 80 carefully chosen, carefully formulated classic recipes, snappy historical briefs on each drink, and as good a summary of cocktail history — including how cocktails got popular again — as I’ve ever read. The book was fun, accessible and smart. It guided me in stocking my home bar, and when I tasted the mysterious delights of Corpse Reviver 2’s and Widows Kisses, I never looked back. If you missed VS&FC’s initial printing, don’t worry. The Revised and Expanded Deluxe Edition is now available. Besides a hard cover and a whole new (and improved) look, it’s got 100 recipes (still a quite manageable list), more photos of booze artifacts from the Doctor’s own collection, and added appendices, including one on “the 25 most influential online cocktail pioneers.” Hint: I’m on page 318. Ever seen yourself quoted in a book that influenced you to become that quotable person? It’s freaky. Speaking of which, several of the bloggers mentioned in the “pioneers” section, including myself, are contributors to the blog for Tales of the Cocktail 2009. I recently contributed a post previewing a seminar on hangovers taking place Sunday, July 12. I’ll be filing additional stories later next week, so stay tuned.